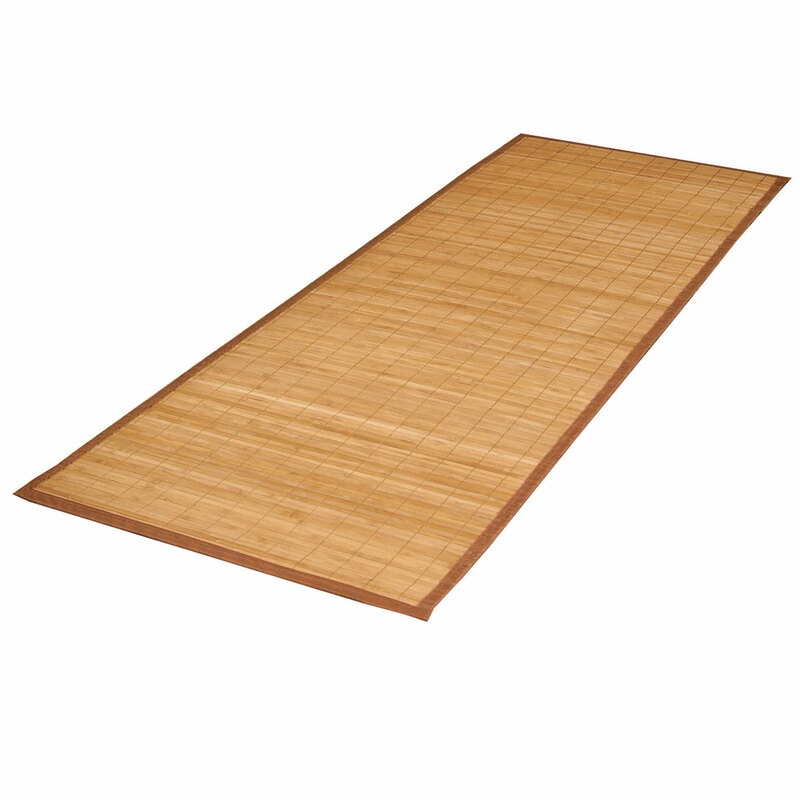 I plan to use this bamboo rug in the kithchen on an unglazed tile floor. It looks great!! Bought this months ago and works very well! I needed something to put under our chair in front of our computer desk since we have hard wood floors and the chair was fading the stain from the floor. So I bought the floor mat, was smaller than what I wanted but it does the trick. Now I don't have to worry about the chair scuffing up the hard wood floor. I am going to buy several of these! 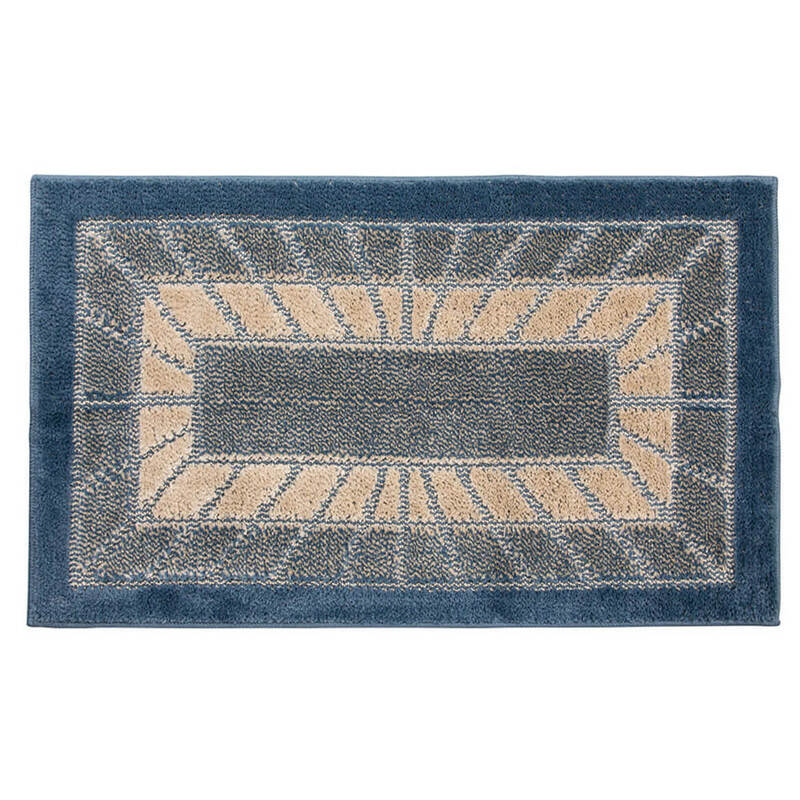 This rug looks great in my kitchen and matches the wood trim on my cabinets. Very comfortable under foot. Cleans up easily, so spills are not a worry at all. My next one will be going in the mud room leading to my kitchen. They look rich and well made. I love them! 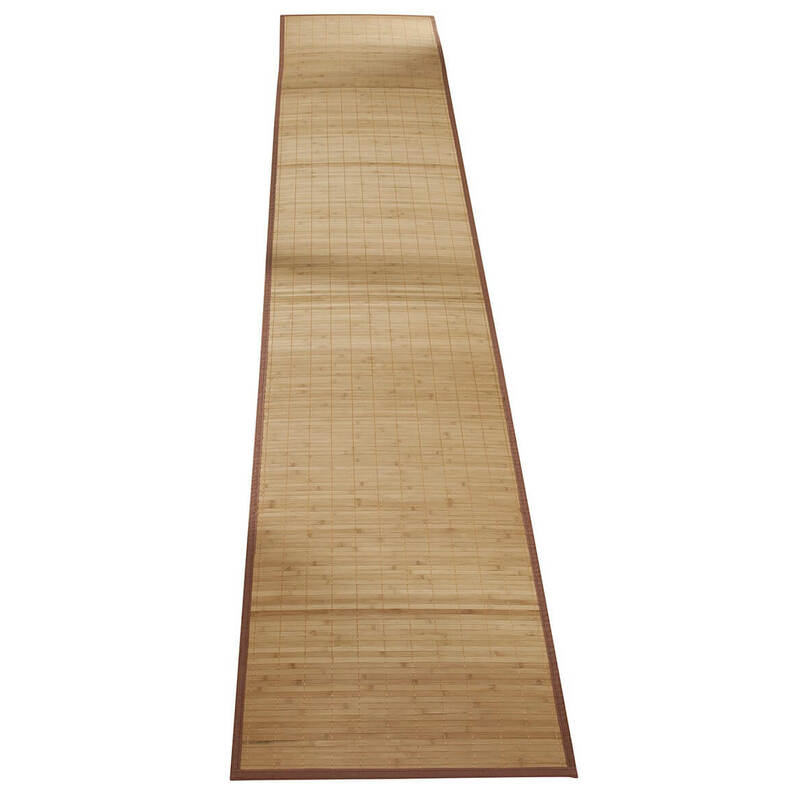 wow I am so happy I ordered these beautiful bamboo floor coverings, I placed them in entry ways and they work beautiful, the color is beautiful, the different sizes was just what I needed and the price is great, I am more than satisfied please keep up the excellent work, the shipping dept. did a fabulous job wrapping them and very quick delivery. I have a long hallway, carpeted in beige, high traffic area and needed to get durable, comfortable and nice looking runner. This runner works great. Only one thing for your information, when picking up to vacuum, roll with bamboo side inside of roll, keeps the edges from slightly curling up. looks very nice, i plan on getting 3 more for myself and 2 more as gifts, so far i love mine!! i have just 1 to try it out, but will get more! It is not as stain resistant as I need since I have it in the kitchen- I have wood floors and it blends in perfectly. I decided to only lay it down when I have company, because everyday use would soil it to readily. otherwise very beautiful and well made. Use it to help keep my kitchen floor clean and dry. As it gets older, ends seem to curl up and cause me to trip, but there is lots to hold on to in the kitchen. Great mat. Easy to clean: just sweep it! Coming in from the garage, in the laundry room where the litter box is located. I needed two long bamboo 72 inch mats to cover a section of the kitchen lamiate floor that had been slightly warped by a flood in our apt..These mats looked perfect and were...UNTIL I removed them to put down two new ones and found that the backing had come off and EATEN into the finish of the floor causing a waffle like print(I cannot get it off) it also took off the finish on the laminate....It is so bothersome....So now I can never expose that part of the floor..I keep ordering more mats to cover the area, but it should not have happened, somthing wrong with backing. I have other cloth 72 inch rugs oredered from DRAKE on the same laminate floor in my foyers and that backing did not come off at all.????? I have writen about this before and have had no response. Nice color and design but after awhile it starts to roll around on floor. I like how this looks and cleans, but it said no slip and that is not true. Will not buy this product ever again! Had planned on using it in front of my washer and dryer, where I have had one for years. Decided to get a new one. Since the two new ones that I have bought are NOT usable, I am still using the one that I bought many years ago. New ones will not lay flat on the floor. They both raise up length wise. A shame that I wasted my time and money on this product. Way to much hassle to return them. Purchase item before and love the way it looks. Perfect for in front of my kitchen sink. We have a walkway where the carpet gets real dirty. looking for a nice hall runner, and hopefully it stays in place. Thought that this might be really good in the kitchen. Might be easy to take care of. Bought this as previous purchase was too small of one. I really wanted a runner. My error. It looks clean and easy to use. I like the wooden look. I bought this for my entrance hallway. Love it I plan to buy some for my kitchen. It has a classic look and with 3 dogs hopefully is sturdy and also will not slip! 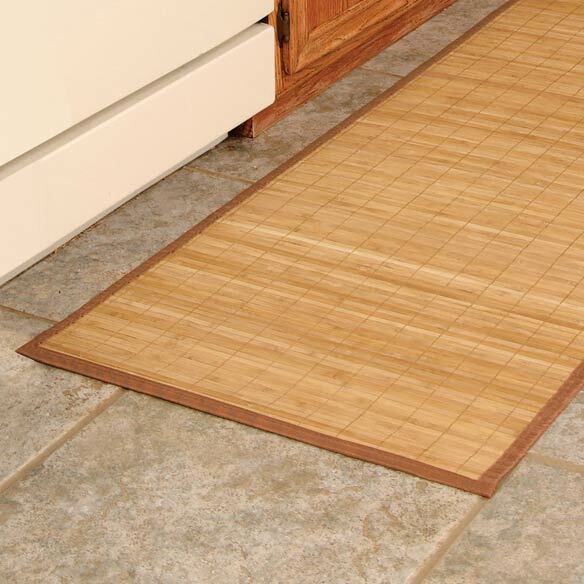 I have been looking for rubber backed mats for my kitchen and breezeway. My dog is old and deathly afraid to walk on the floor now, she is just too used to carpeting so this looked pretty, functional and like something that will satisfy both of us. Bought it for the size in front of my sink, but did not like after I received. Did not do the job & stained very easily. I was looking for something neutral looking for an entry way. liked ones I already got. Very helpful when you have large dogs. 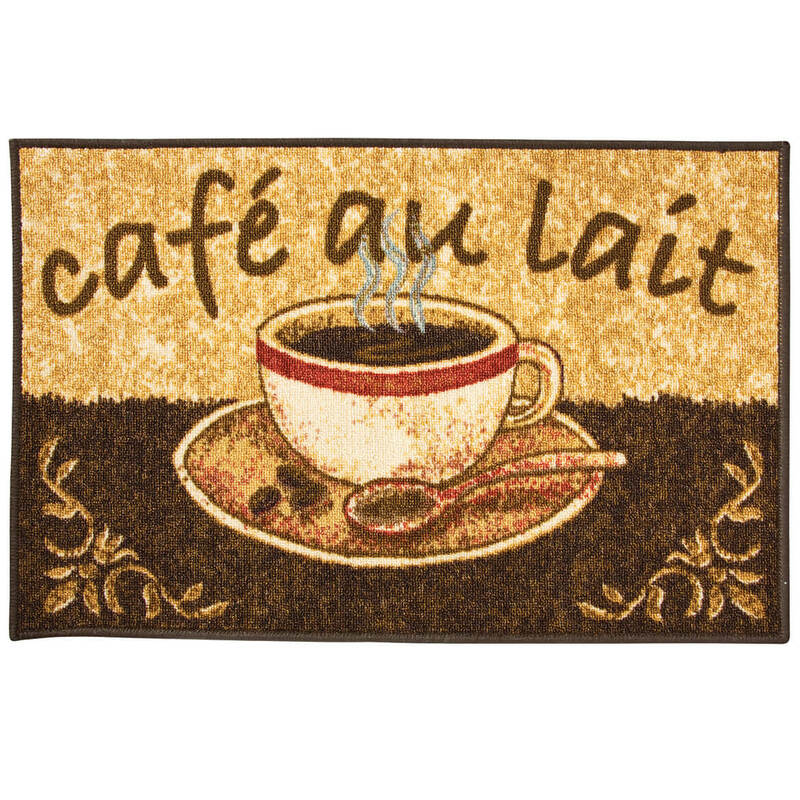 I have similar mats, there are 30" wide, not 24". I like them very much, but it's time to replace. I hope 24" wide will work well. New RV with carpet we want to keep from making a walking trail through. I purchased to use at the entrance and go to entrance of kitchen. Help with the dirt on bottom of shoes. Have purchased one before, still has it and in good shape! 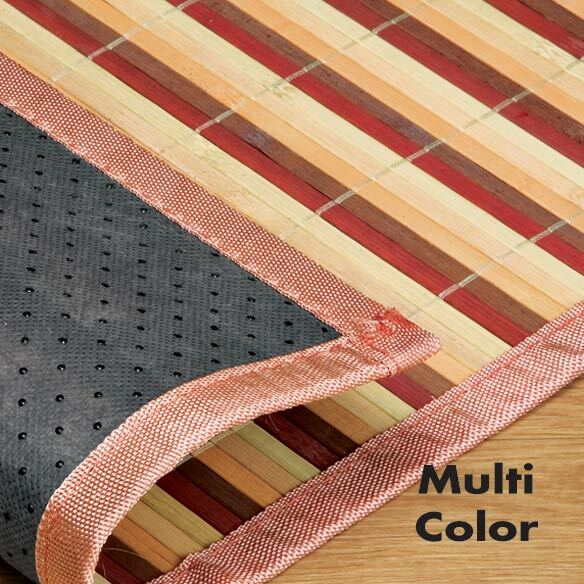 Need a mat that does not "walk"
It's a good product and the price is right! For my marble titles in the kitchen. I will put it in the middle between the stove and sink. Also, I can avoid to slip on a wet titles. Needed them for a balcony that we recently had to enclose. Have wanted one for sometime! I chose this because of the non-skid description. These rugs do not wok well on laminate floors. 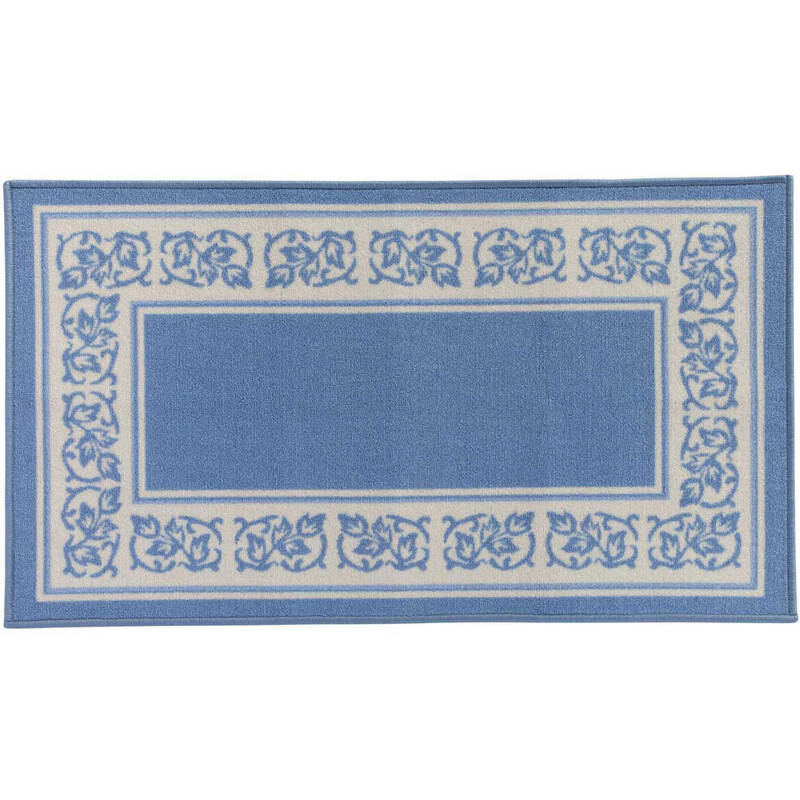 do I need to purchase a rug mat for underneath the rug or is it already safe for my hardwood floors? I don't want to damage the finish on the wood. BEST ANSWER: I DON'T KNOW ABOUT HARDWOOD FLOORS, BUT I USE IT IN A HIGH TRAFFIC HALLWAY ON LOW KNAP CARPETING. IT DOES SLIDE SOME BUT I'VE HAD IT FOR 2 YRS. AND IT SHOWS NO WARE AND IS IN GREAT SHAPE FOR BEING USED FOR THAT LONG. ALSO IT CLEANS WITH A WET CLOTH. I THINK IT WOULD SLIP AROUND ON WOOD FLOORS. A RUG MAT WILL HELP THAT. Thank you for your question. 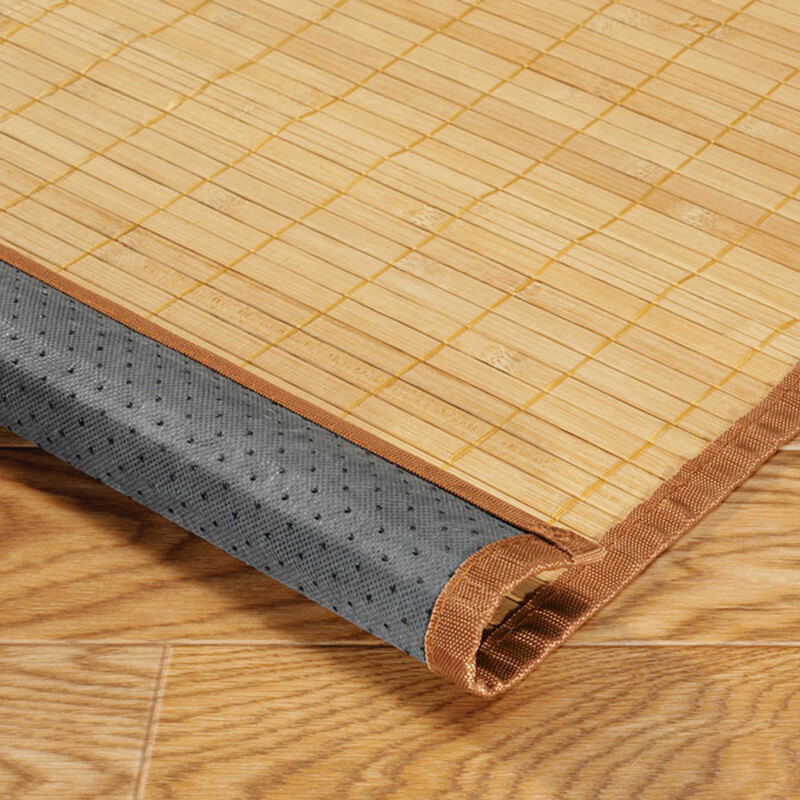 The Bamboo Non Slip Runner comes with a non slip rubber backing on it. We hope this information will be of help to you. 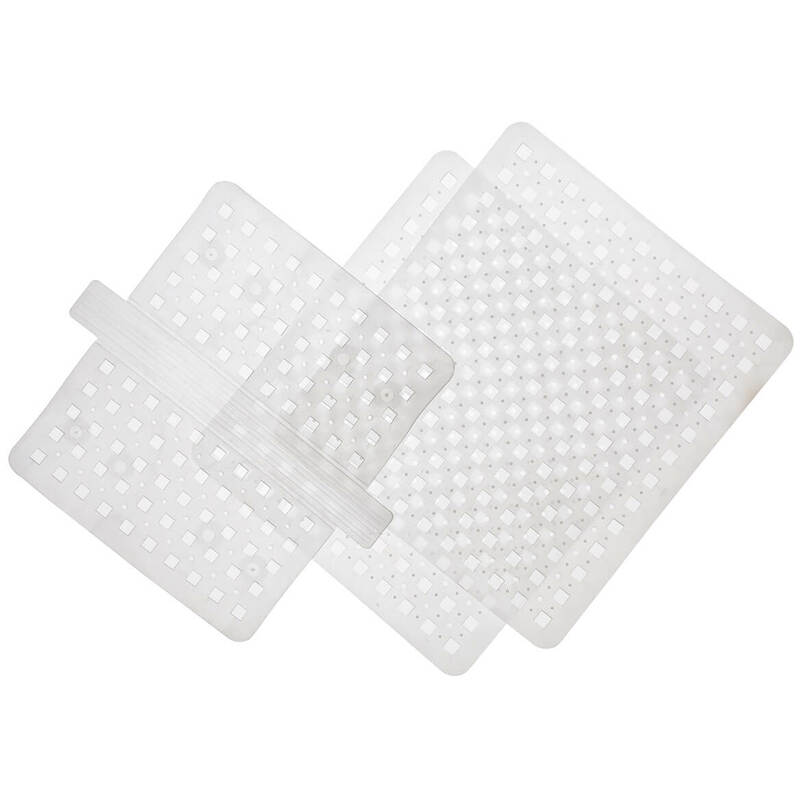 There is a protection thin mat attached. Do you have the 24" x 30"? BEST ANSWER: Thank you for your question. Unfortunately we do not carry that size. We hope this information will be of help to you. BEST ANSWER: I Love this mat. Dirt falls through to floor. I pick it up and sweep where it was. When dirtyI use damp or wet cloth or sponge to clean any spots but it does not show dirt easily and I have 4 dogs, 2 cats, 3 adult children and 2 grandchildren living here tracking through every day. I cleaned mine with the mop that I wash the floor with. Vinegar water, and it worked great. Brought the color right back. I run a mop over the mat. Can you use this outdoors? BEST ANSWER: Yes - great for outdoors -- I use one on my balcony in the summer.